E-commerce fraud professionals battle their versions of Freddy Krueger, Norman Bates, Michael Meyers and Jason Voorhees head-on every day. And, when it comes to fraud, they often slay the monster. But, while many have their eyes focused on the threat in front of them, they can’t see the real danger—the bigger danger—lurking in the shadows. False positives are a bogeyman that fraud professionals know exist. Intuitively, merchants understand that delaying, declining or canceling an order can result in the immediate loss of the sale in question and, more importantly, subsequent sales to a customer who, out of frustration, turns to a competitor—maybe for life. 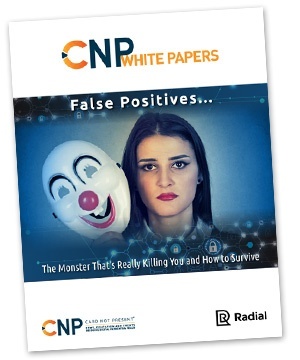 Get this white paper, sponsored by payments and fraud technology and service provider Radial, to uncover the real financial impact of false positives and why it’s an aspect of fraud prevention that is too often overlooked.